DAVAO CITY (MindaNews / 07 August) — Civil society organizations and consumer groups in Japan will start a monitoring system on bananas exported from the Philippines, following the launch of “Ethical Banana” campaign last July 28 in Tokyo to promote environmental protection and social justice for the Filipino farmers. Chinkie Pelino-Golle, Executive Director of the Interface Development Interventions (IDIS) told Kapehan sa Dabaw on Monday that the campaign seeks to encourage Japanese consumers to patronize bananas that are produced by companies that observe good agricultural practices and promote the welfare of the banana farmers. “Japanese really love bananas but they do not know how bananas are produced and who produced these bananas,” she said. Golle said they believe that they are helping push “ethical banana” production in the Philippines that does not contribute to environmental degradation by encouraging the Japanese consumers to buy only from the producers who follow the best agricultural standards. The groups behind the “ethical banana” campaign are Asia Pacific Resource Center, Alter Trade Japan, and Alternative People’s Linkage in Asia (APLA), she said. The APLA invited representatives from IDIS and Initiatives for Dialogue through Alternative Legal Services (IDEALS) to share their advocacies in Mindanao. During their discussion, they presented the challenges confronting ordinary banana farmers and the companies’ agricultural practices such as the use of aerial spraying. She said the CSOs and consumer groups are planning to come up with scorecards on Filipino banana produce and provide consumers with information on the agricultural practices of the banana companies in the country in all their affiliated groceries and supermarkets this year. 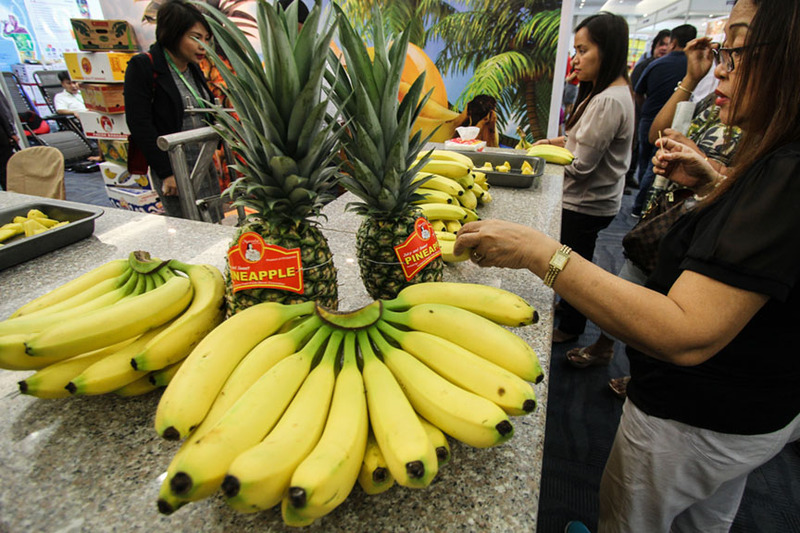 According to a report of the Philippine Statistics Authority published on July 10, 2018, fresh bananas were the fifth top export of the country valued at $146.41 million and a 2.5 percent share to the total export receipts in May 2018. Irvin Z. Sagarino, legal consultant at Initiatives for Dialogue through Alternative Legal Services (IDEALS), said the Japanese are supportive of the “ethical banana” campaign that would also ensure the welfare of the banana farmers, most especially in Mindanao. “They wanted to know whether or not the banana farmers are doing well, the company investors especially those companies that are providing or producing bananas in Japan,” he added. He said ethical banana campaign promotes sustainable farming and healthy relationship between companies and farmers who face various risks such as exposure to harmful pesticides and unfair labor practices. Golle said there are 3 to 5 million banana consumers in Japan. She added 30% of the supply of banana in Japan came from the Philippines. Golle said it’s not possible to boycott “unethical banana companies” because only few grow organic bananas. “During our strategic planning, ideas came out to boycott bananas but, of course, Japanese really love bananas and when you say boycott it means they would lose their supply of bananas,” she said. She added they would help consumer groups come up with scorecards by identifying banana plantations in Mindanao and their agricultural practices. As the campaign gains steam, Sagarino added that banana companies in the country would be affected and this would encourage them to improve their relationship with the farmers.